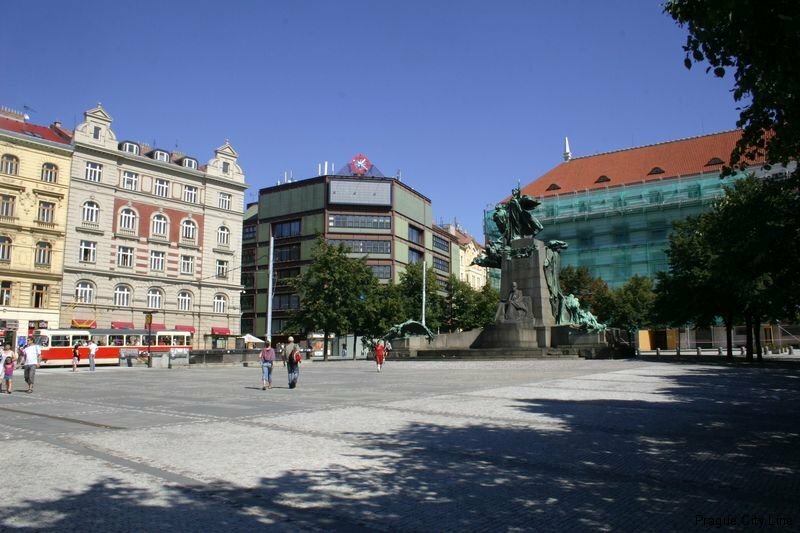 Palacky Square is located in the historic part of Prague 2 Podskalí called „old“ and today is one of the main intersections with the major tram hub. 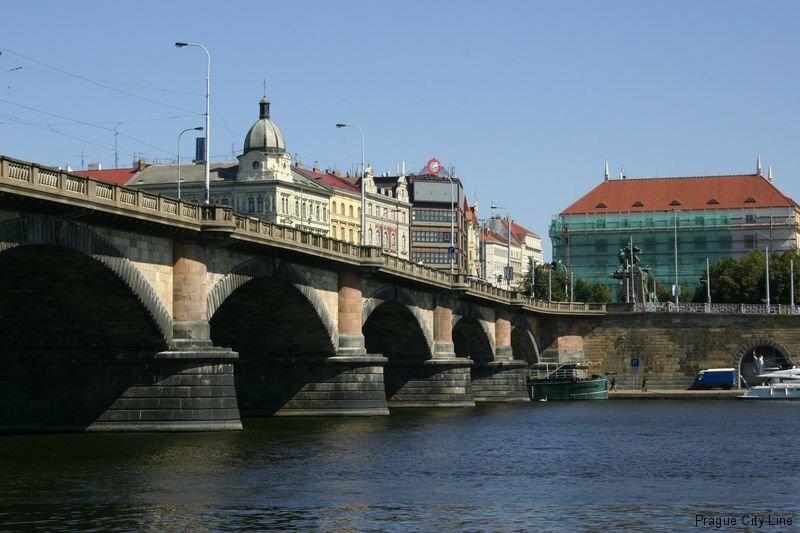 The main interest of today’s square started to arise after the catastrophic floods that hit Prague in 1845. When river levels rose by more than 5 meters over its normal level and greatly damaged this part of town. In subsequent years, therefore, in this place the ground was artificially raised and a solid stone wall was built with a height of from eight to eleven meters. 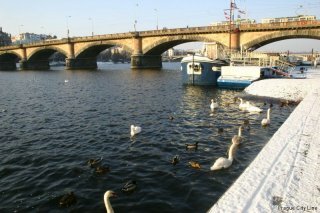 The right bank of the Vltava River was now protected in the future from similar events adequately. The newly created town square was named in 1896 after Francis Palacky. 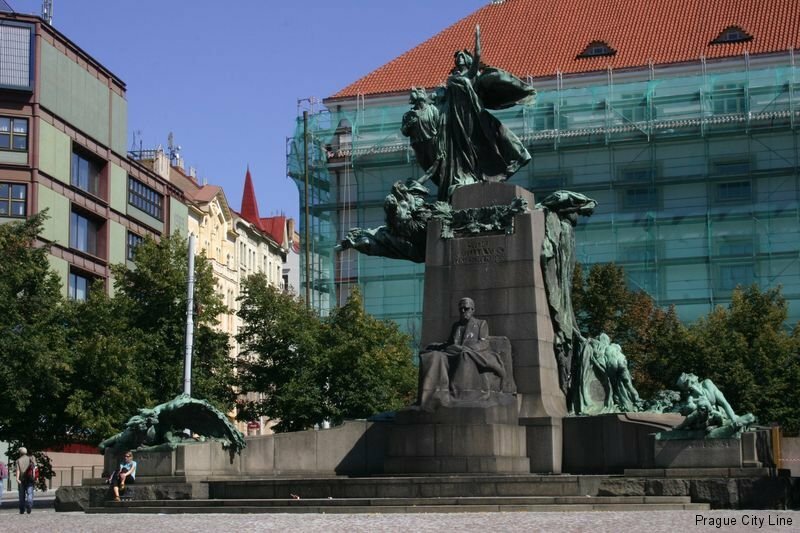 The monumental statue was created in collaboration between sculptors Stanislav Sucharda and Joseph Alois Dryák Mařatka in the years 1898 – 1902. 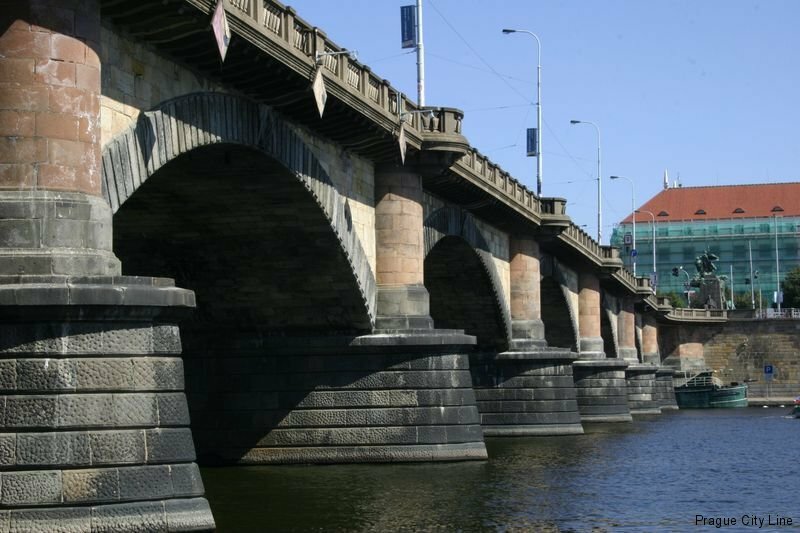 It is located on the head of Palacky Bridge. 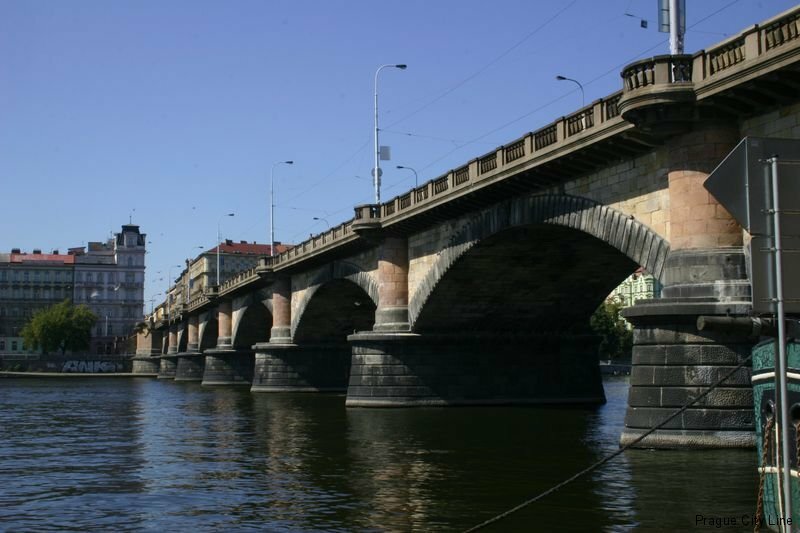 It is the third oldest stone bridge in Prague (Charles Bridge and the viaduct Negrelli) and like the bridge downstream over the Vltava river, it was built for the same reason as already mentioned Jiráskův bridge. 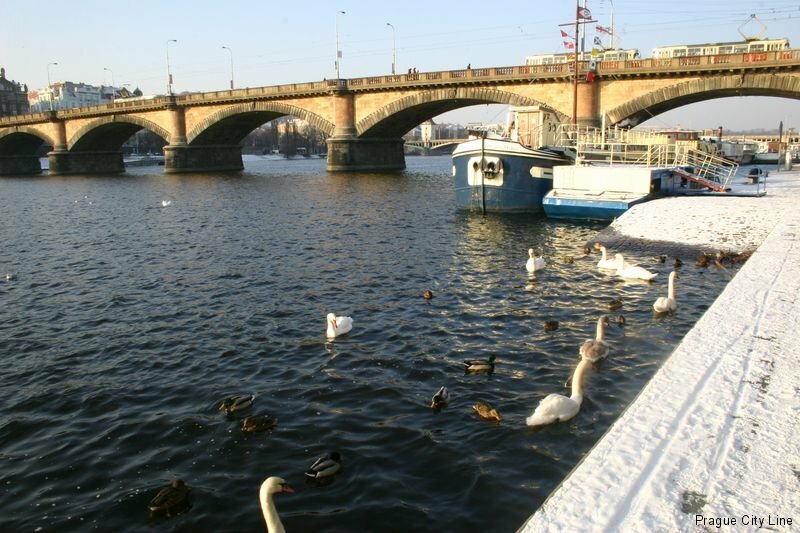 This reason was rapidly growing Smíchov area on the opposite bank of the river and the necessity of a connection with the then densely populated city center. But construction did not prevent an economic depression and building was stalled. Eventually on May 13, 1876 workers laid the first foundation stone. A German construction company took over but the Klein brothers, Schmoll, and Gartner projects were built by the Czech engineers Josef Reitnera and Frederick Münzberger (a name we have already dealt in the paragraph devoted to building CVUT Karlovo namesti). 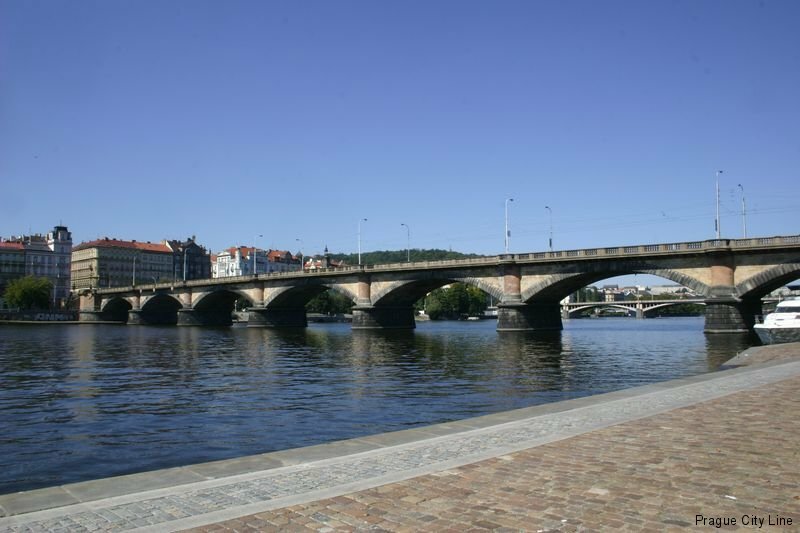 The construction of the bridge is also one subject of technical interest – for the first time here in Prague, the caisson method was used for establishing the pillars of the bridge. The Caisson system works on the principle of equal pressure in the caisson and water and is the same technique used for the Brooklyn Bridge. With this feature it is possible to move the caisson without a special suit, and the excavation work is carried out faster. A weighted box drops into the pit and after reaching the required depth or bedrock is filled with concrete and used as the foundation of emerging pillars of the building. The stone bridge with seven arches measures to 228.8 mA was put into operation the 22nd of December, 1878. After commissioning the bridge, the street and track cars were placed around it and race on one side in one direction. 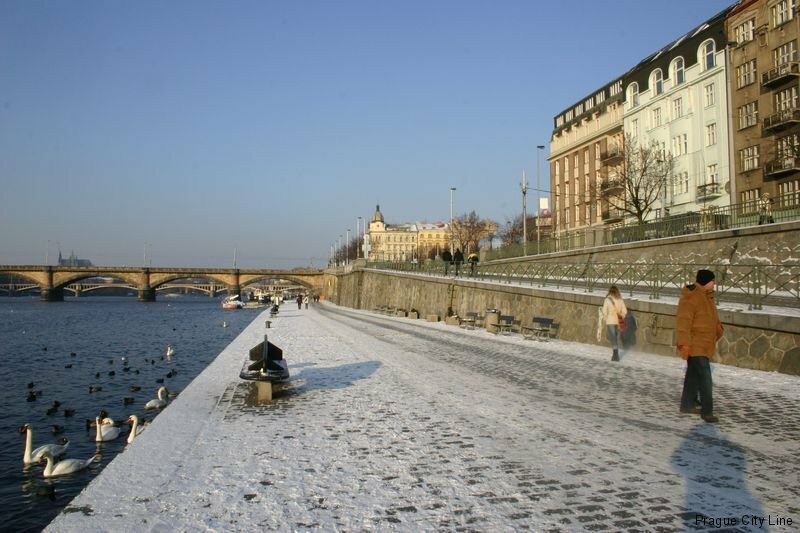 The road was wide: sidewalks 7.7 mA 1.5 m. Although the Palacky Bridge in Prague at that time was the widest bridge, from the outset, it appeared that this width would not be sufficient, and immediately they planned an additional unilateral expansion up-river as evidenced by the location of the statue of Palacky in the axis of the proposed extension. All these plans were compromised with the advent of war. Another interesting feature of the bridge, which in its attentive examination one easily notice the different colors of the building blocks of the bridge. The bridge was built in the spirit of national revival and was the blocks of different color stone are in the colors of the national tricolor. 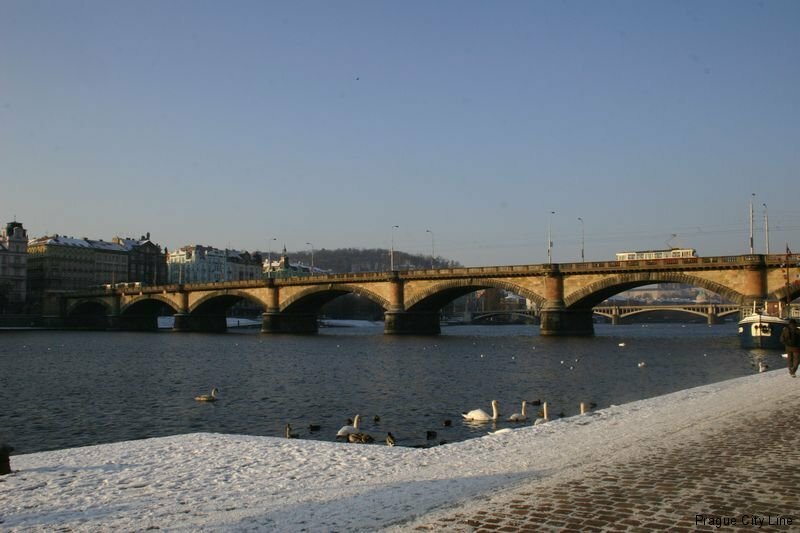 Blue granite was used on the gridiron blocks and pillars of the arch, the red sandstone walls and white marble pins are on the railing of the bridge. 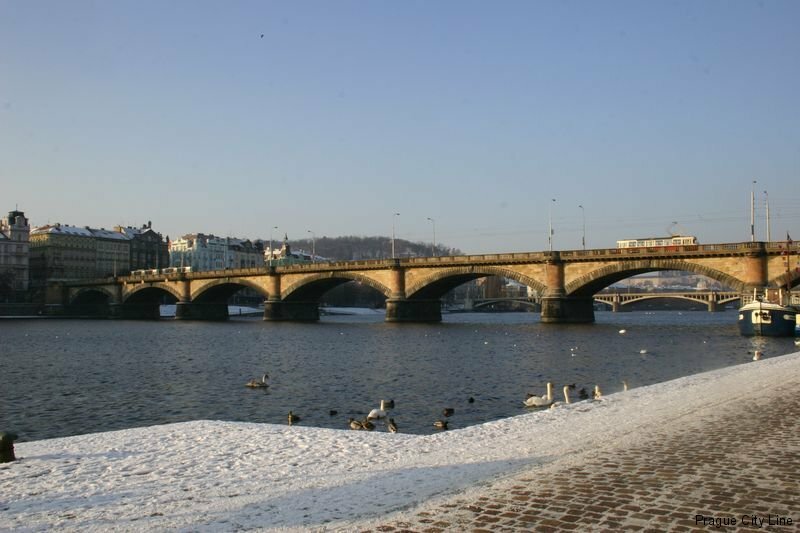 The emblems engraved here are of Prague and the Czech towns on the Vltava and Elbe. 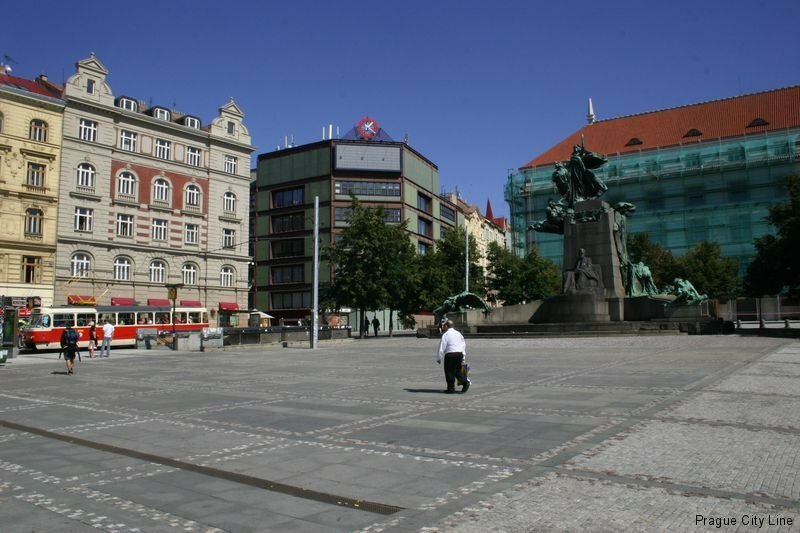 On both corners were placed statues of Josef Vaclav Myslbek famous figures of the Czech myths and legends. It was a sculpture Lumír and song, and Libuse Přemysl, and Slavoj Záboj and Ctirad and Sarka. 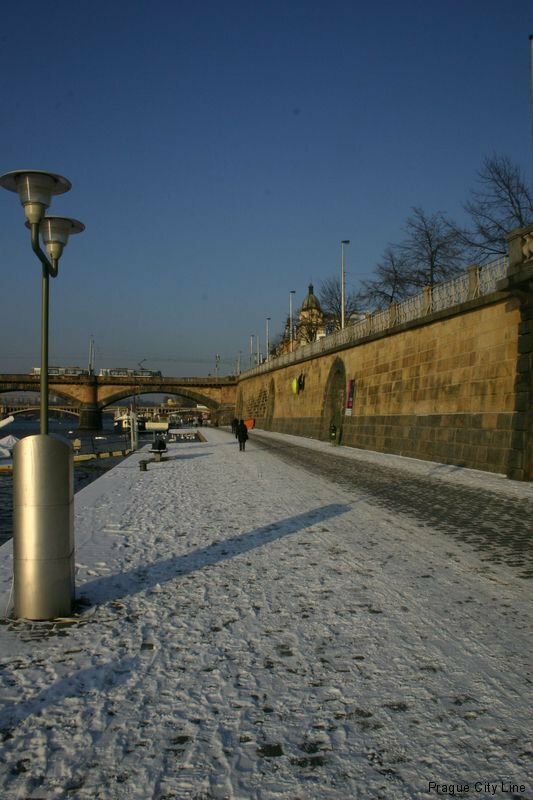 This statue stood there until 14 February 1945, when at the end of the war over Prague, U.S. aircraft destroyed the escape routes serving the German army. 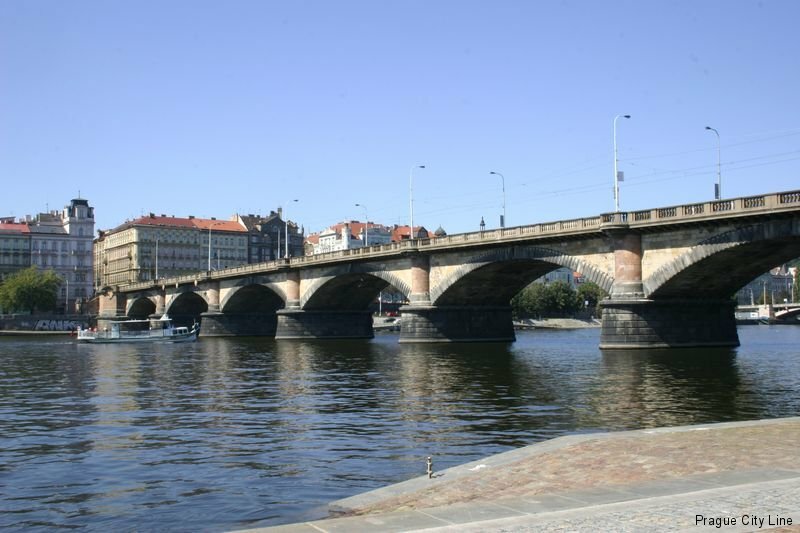 During this raid the statues on Palacky Bridge were not damaged, but many other buildings of Prague 2 were destroyed. Some of them will not be mentioned here. To complete this information it appears that the American pilots during the air raid reportedly lost their orientation and ended up in Prague rather than Dresden. 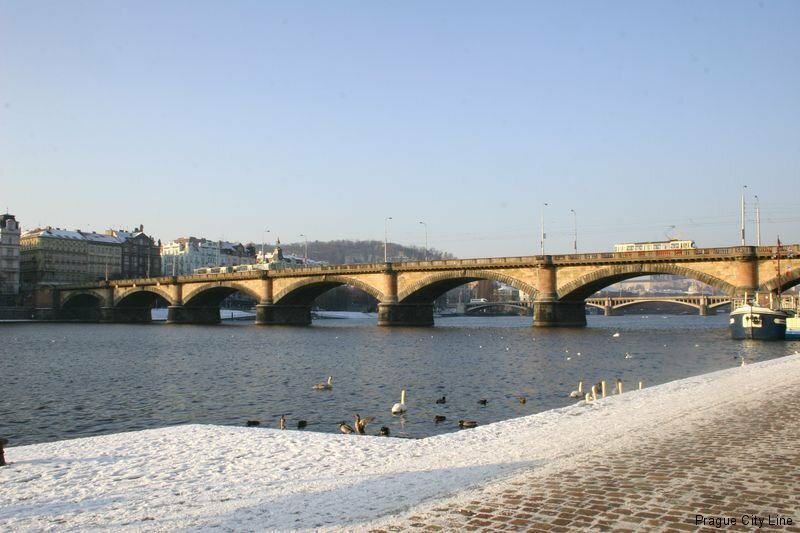 Fortunately, with regard to the damaged statues at the Palacky Bridge, they are now housed and renovated in Vyšehrad Park(Vyšehradských parcích). 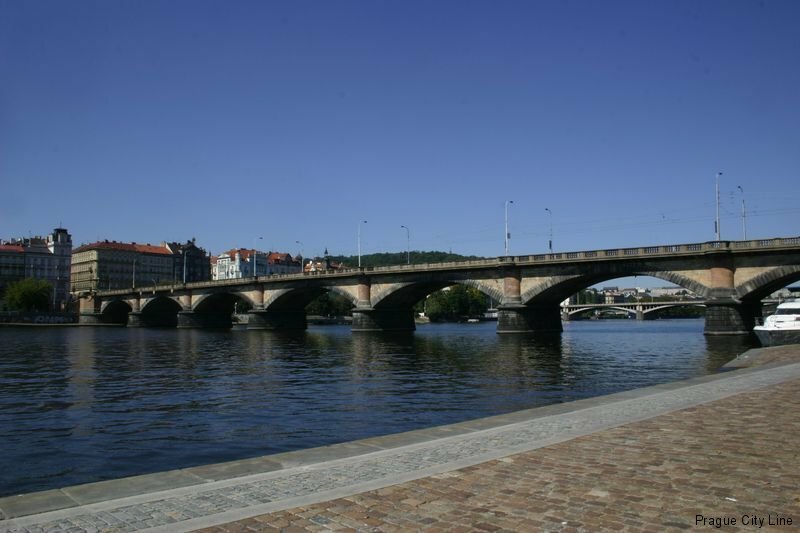 Palacky Bridge and Square (Palackého most a náměstí) 50.072993, 14.413762 Palacky Bridge and Square (Palackého most a náměstí) Palacky Square (Palackého náměstí) Palacky Square is located in the historic part of Prague 2 Podskalí called \"old\" and today is one of the main intersections with the major tram hub. 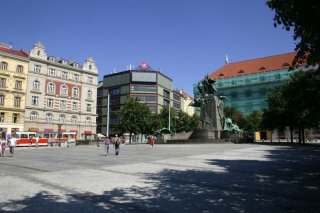 The main interest of today\'s square started to arise after the catastrophic floods that hit Prague in 1845.